LIC Bima Diamond is a new money back policy launched by LIC recently. The name of policy is kept as a Bima Diamond because it is launched as a part of LIC’s diamond jubilee year celebration (60th Birthday). LIC’s Bima Diamond is non-linked, traditional money back policy. Let’s take a look at policy features and other details. 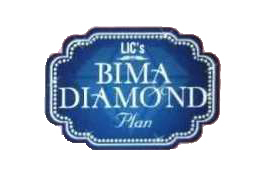 LIC Bima Diamond is marketed with quote “It’s thrice as nice” as it provides three main advantages to the customer. Auto Cover – Auto Life cover is provided for 2 years even if the premium is not paid. This benefit will be extended only if 5 policy years are completed. Example – If you take LIC Bima Diamond policy with 1 Lac sum assured with option 2 you need to pay a premium up to 12 years. Your life cover shall be for 30 years (20 Years policy term + 10 years extended coverage). You will get money back for 5 times. Example – If you take LIC Bima Diamond policy with 1 Lac sum assured with option 3 you need to pay a premium up to 15 years. Your life cover shall be for 36 years (24 Years policy term + 12 years extended coverage). You will get money back for 6 times. 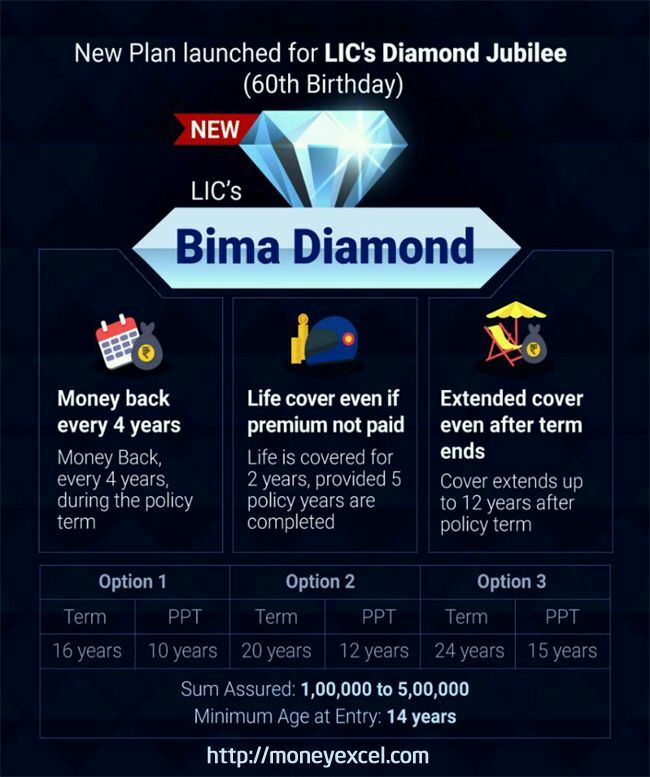 LIC’s Bima Diamond Policy premium detail and other plan details are not yet available. I will update this post once these details are available.